Dakhla, Morocco – Intensive bilateral engagements were the primary objective for the Foreign Minister today, as the Crans Montana Forum got on the way. 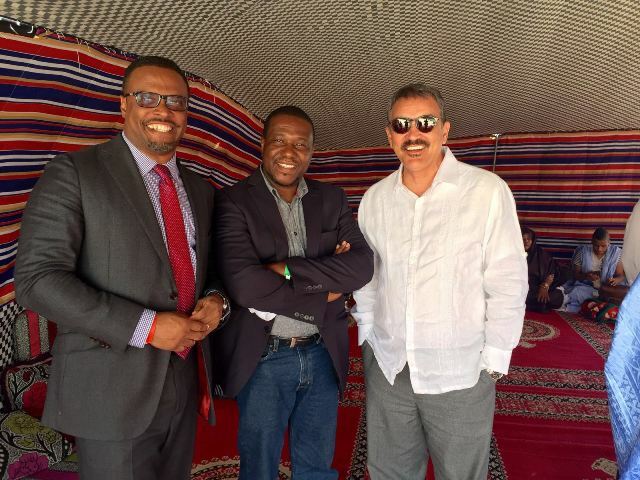 The Minister along with his counterparts from Antigua and Barbuda and St. Lucia spent the day in meetings with high-level Moroccan officials. These islands along with Dominica and Grenada entered into diplomatic relations with Morocco in February 2013 and they all signed a roadmap for the promotion of bilateral cooperation for the period 2013 – 2015. Morocco acknowledges that the Caribbean countries are part of a highly strategic region and are located at the crossroads of the biggest maritime routes. The roadmap which was signed in 2013, agreed to dialogue in the areas of South-South Cooperation, Food Security, Energy, Governance, Environment and Climate Change and the Fight against Terrorism, Drugs and Peoples’ Trafficking and illegal immigration. The were 16 courses of action agreed upon which included diplomacy training of junior diplomats, development project support, higher education and vocational training, training courses in the field of health and agriculture. At the meetings today the timeline for the signing of the new agreement for a further three years was discussed and will be executed in the near future. 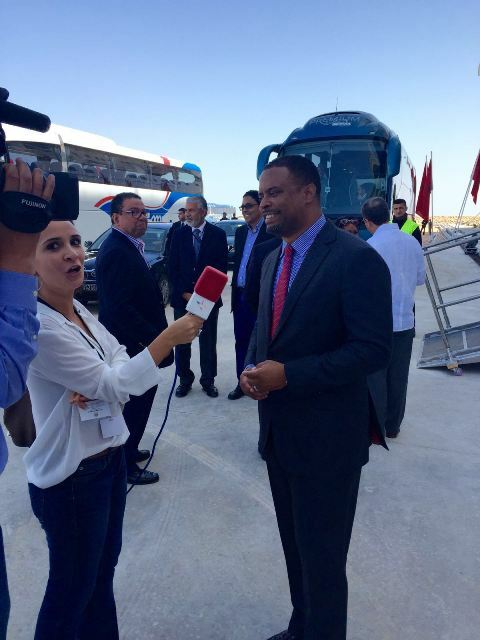 Both Moroccan Television and other international news agencies have engaged Minister Brantley, as he makes a case for St. Kitts-Nevis and other Small Island States and to advance the South-South Cooperation agenda. While it was referred to as relaxed diplomacy, there were indeed high-level negotiations being carried out.